The Eleaf iKunn i80 kit is made of iKuun 80W MOD and Melo 4 Atomizer. The Eleaf iKunn 80W MOD is build-in 300mAh battery, and the Melo 4 Atomizer is optional 2ml(TPD version) and 4.5ml(Standard version) e-juice capacity. 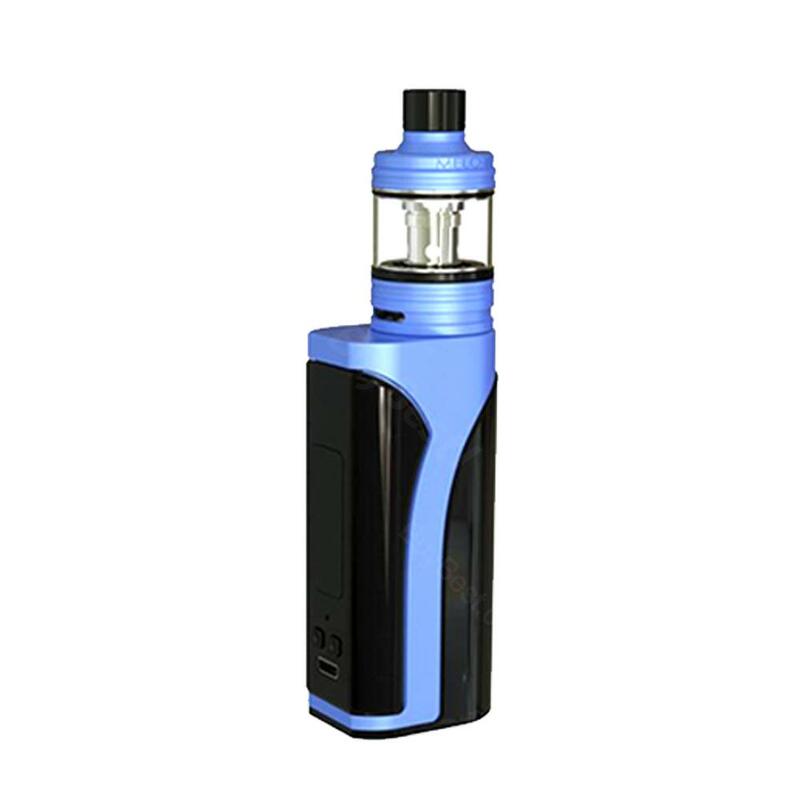 The Eleaf iKunn i80 kit supports VW/TC(Ni/Ti/SS)/ TCR(M1/M2/M3) modes and Firmware upgradable. The New EC2 Series Coils offers an impressive vaping experience. The Eleaf iKuun i80 Kit is composed of a built-in 3000mAh iKuun 80W MOD and Melo 4 Atomizer of optional 2ml(TPD version) and 4.5ml(Standard version) e-juice capacity. The iKunn i80 kit features retractable top-fill design, reset function and firmware upgradable. The maximum output wattage is 80W and it is features with 2A Quick Charge Capability. The Eleaf iKunn i80 kit supports VW/TC(Ni/Ti/SS)/ TCR(M1/M2/M3) modes. The Melo 4 Atomizer is retractable top-fill design and the New EC2 Series Coils will make vaping with great flavor and clouds. It will be the wise choice for all vaper to use Eleaf iKuun i80 Kit. The size is perfect when hold it in hand. I like its simple and classic looking. It really deserves the price. I shall buy another i80 TC kit. Package came quickly and thanks to the customer service, they answer me very patiently. The i80 with Melo 4 looks great. Can't wait to use it. This little i80 TC kit is amazing. Small and compact. The Melo 4 makes intense clouds. It's a good bargain to buy it at such low price. I like my i80 TC kit very much. It's easy to fill in juice and tear open it to clean. It never leaks since I use it. Highly recommend. Good product. The i80 mod has strong power and it can last all day. I'd like to carry it with me.